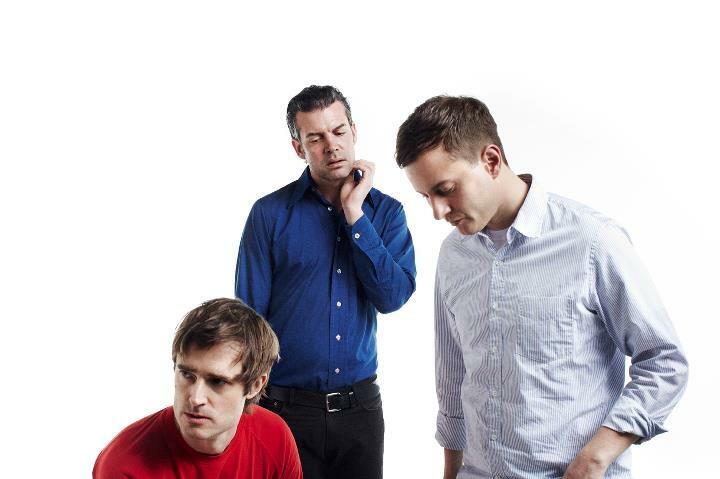 Like with any band’s sophomore effort, Brooklyn’s Battles wanted its second album to stand apart from its first. “Of course the microscope is going to be on us, big time,” drummer (and current Berlin resident) John Stainer said of the attention paid to the band by fans and critics alike during that space between full-lengths. This is because he and guitarists Ian Williams and Dave Konopka have had a particularly eventful ride over the course of the past year. The band has been on tour in support of its second full-length, “Gloss Drop,” since April. The album, which was released in June, signified a new chapter for the band: after last year’s departure of guitarist Tyondai Braxton, the quartet became a trio and the three remaining members made the conscious decision to stay that way, instead of either breaking up or replacing Braxton. The first live debut of the new lineup was in Japan, which is a special place for the band, considering it was the first location (aside from Battles’ New York headquarters) to accumulate a large following for the group. “That’s kind of our home away from home, sort of, so it was important for us to kind of debut our, you know, Battles 2.0 in Japan,” Stainer said. In regards to the change in lineup, it occurred so quickly that the members had little choice other than to keep pushing. This forced momentum has proven to be a good thing for the three, even if it made the initial time up to and immediately after “Gloss Drop” much more hectic. “We’ve kind of been learning as we go,” Stainer said of the process of touring to support a brand new album without much time to solidify the live versions of songs before hitting the road. Additionally, in spite of any form of inspiration the members might encounter while on the road for such lengths, there is little time to both write and rehearse while touring. And although standard three-piece rock bands might find it easy to regularly “jam” on tour or write songs together, Stainer said that the members of Battles have the tendency to collect ideas on an individual level, only piecing them together as a unit when they aren’t traveling. But now that the band is on the road and will continue to be until sometime next year, the members shared that they have grown into the album, and more so, into themselves as a band. “I feel like [‘Gloss Drop’ is] a direct and to-the-point record,” Stainer said, explaining how it’s a relatively pure representation of the band. He explained that the first EPs are also on this same level, but said that at the time they were written, the members didn’t know one another well enough, nor did they know what they were capable of as musicians. “There’s sort of this innocent kind of early incarnation of what Battles is now,” he said, likening the two time periods to one another, with the main difference being that the band is now more direct with its focus and defined in its sound. Battles play tonight at Fritz Club im Postbahnhof in Berlin. The show begins at 21.00. This entry was posted in Interview and tagged American, Battles, Feature, Interview. Bookmark the permalink.